Get information and updates by registering at the link below. Do you desire to have a stronger, more fulfilling connection to Spirit? Do you wish you could get direct answers to the things you're trying to figure out? Do you wish you could receive energy healing from a very high place, so that your old ancestral blocks, or DNA patterns could be wiped clean? ​and a higher source of learning from Spirit? If so, the Global Energetic Downloads could be for you. The Live Global Energetic Downloads are a live bi-monthly event full of the beautiful energy from Spirit, being directly delivered to you. Through years of developing my abilities to receive and deliver energies from Spirit, I can now offer this highly transformative experiences to individuals right in their own homes. By listening in on the phone or web, you can receive. By relaxing and enjoying, so much is available to help you liberate your spirit more expansively. Participate in receiving some of the highest-energy Source material now coming to Earth. This is very simple, clear, practical guiding steps to take you from where are now, into a more accelerated path on your spiritual journey. 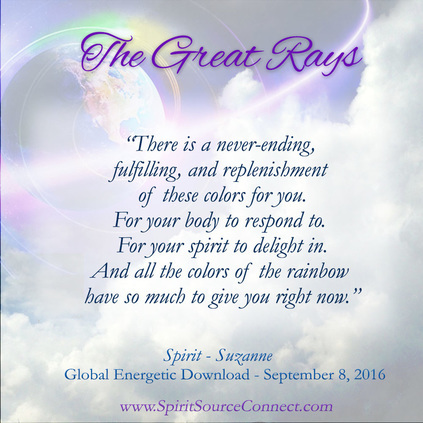 All of these messages have been delivered over the years of the Live Global Energetic Downloads. Are you missing that clearer connection to a higher spiritual Source? Would you like to eradicate subconscious patterns easily, and feel uplifted and guided constantly? So many people have felt alienated from the traditional way of practicing religion, or haven't been able to connect with so many new forms of spirituality that are out there today. Either they're impractical for people's daily lives, or they can't connect with what's being communicated and so give up. I've also seen a lot of people with so much going on, that the thought of slowing down for a meditation seems nearly impossible. And once they do try, their thoughts take over, and there is that ever present 'to do' list. These very loving guidance and energies are always accompanied with frequencies that will shift, transform and elevate your being. Our bodies are being transformed on a cellular level, and many individuals experience spontaneous healings. Grow with the material being delivered to All of us now. You want to clear blocks immediately, wait or take take a long time to do it. anxieties you didn't even know you've been carrying around for years? ​Each of us has blocks that we carry around and some are much heavier than others. What you manifest in your life is a direct result of what you are holding within. Some are referring to this as The Law of Attraction. Did you know that in the previous energetic downloads, Spirit cleared our DNA of all ancestral memory of suffering? Although we may not be specifically aware or feel what is occurring, suddenly participants are feeling a lot lighter about their lives, and physical ailments seem to disappear or melt away. Once the event is complete, many individuals have felt shifts of energy within their consciousness. Many report being 'taken out' of consciousness, tingling sensations throughout their bodies and even chronic physical conditions disappearing. By participating in The Global Energetic Downloads, you can experience the release of internal components that cause struggle, feelings of inadequacy, difficulty in pursuing your dreams, and begin to see real changes that transform your outer experience. "We want to acknowledge you for taking time, to come together with Spirit, to share, to open yourselves to the higher energies. We are always proud to be among any of the countless humans that choose to gather together, and open themselves to that which they cannot know, they do not see and yet, only sometimes hear... for it is a great courage that allows one to do so, and we honor and praise your spirits of courageousness in this so doing. We bring you blessings of delight and hope, that in this coming age, many spiritual souls choose to 'come along with us' as we bring transformative energies for the greater upliftment of humanity." Each of us has a role to play in the enlightening of the burgeoning New World that is being born right now. After seeing so many people struggling with their own internal self-doubts, I have always wanted to help others overcome these challenges, but wasn't sure how. After 35+ years of written dialoging with Spirit, I was strongly encouraged to start creating a form for others to come and experience the loving and patient, kind and compassionate nature and energies of Spirit that I had always and consistently been experiencing. After 8 years of developing this work in front of public audiences, I was encouraged to deliver the material online, so that people can now participate from anywhere in the world. Regardless of your faith, beliefs or traditions, the kind, practical and encouraging wise words from Spirit embrace all of us, and brings all of its children home to be cared for and nurtured into growth. These Live Global Energetic Downloads assist humanity in receiving the enlightening energies that have been arriving to Earth for some time now. Their intensities are growing and as they do so, humanity will find itself challenged in many ways it has not been challenged before. We are being asked - or pushed - to let go of old systems and structure that no longer work for the new times we are in now. These energies and our changes will continue to grow for millennia to come. What do these new energies coming to Earth have in store for us? We are all becoming more highly sensitive. This means that you feel more, sense more through your five senses and beyond, and have a greater awareness of the energies present around you, and in the situations you find yourself in. You are more sensitive to the foods you are eating, and can receive direct intuitions on what is right, and what is not right for you, regardless of what the current trends are. You can establish greater awareness of the dynamics in your relationships: which ones it's time to let go of, and which are there to teach you. You can have the ability to shift the energies of disharmony if that is what you'd like to accomplish. You can develop a keener awareness for what is truth and authenticity, and what is not clear. We will no longer tolerate hunger, disease or poverty, and set ourselves on the path to eradicate struggle and difficulty worldwide. We have the opportunity now to participate in some of the most cutting edge spiritual and energetic technologies that are available to us and arriving. Spirit guides us through kind and loving words and energies, each step of the way. We are given specific and practical instructions for our daily living, providing us with assistance on our paths, and an encouragement toward community building to rise above our challenges. and meditate with them whenever you want to rise up! 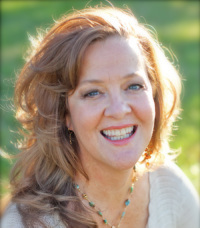 Hello, my name is Suzanne Goulet and I am the facilitator and voice for the Live Global Energetic Downloads. This is a process that has taken a lifetime to develop, although I was completely unaware of where I was being led during this development process. Now, through a great deal of training, I am able to both facilitate the transference of energies from Spirit to individuals, and speak the messages that accompany that energy. This work is new in its form, and has taken many years of personal and spiritual growth before I was capable of this ability. Since early childhood I was able to communicate directly with what I felt to be Mother Mary. Keeping a diary as a child, and continuing throughout all my life these conversations grew and evolved, providing loving guidance for all areas of my life. Through reading other highly accomplished, channeled materials, I implemented a practical spirituality that has grown and evolved. So I have always been learning directly from Spirit. I used what I learned to examine what my life's reflection brought, and then create the next, boldest steps in my life. The results have been highly creative, expansive, and experiential. Big leaps, combined with faith, bringing extraordinary experiences of miracles, growth and expansion. The ability to be a conduit of energy for Spirit was initiated and developed through an intense study and practice of A Course in Miracles. In the last 21 years since I picked it up, I've practiced what's referred to in the Course as delivering "A Holy Instant to my brother." this is a training and a practice Christ has given us through the Course, as a way of delivering miracles. This practice first started in 1998 in delivering it to one individual at a time, while I had other work and careers I was involved in. Eventually, these practices grew until I began offering it in groups form to a small number of people who would show up in my living room. This then became a series of weekly meetings offered locally, which became the series of sessions known as "A Course with Spirit". Each participant, whether as individuals or who were present in group form, experienced changes in their lives, either dramatically at first, or over the course of months and even years, as the miracle unfolded for them. I was then guided to offer these sessions over the internet, which is what you'll be receiving here. This allows live audiences internationally, over phone lines and the internet, making it available to anyone with internet or phone access. This is your time. It's for you now, wherever you are, and available to take home and listen and receive when you're ready. Each step of this path has been guided by Spirit in every way. As the Course instructs, the more I let go of my idea of myself, the greater the way laid open for Holy Spirit to enter. "What happened over the next 20 minutes or so is out of my experience, but I´d say I was being reprogrammed at a cellular or DNA level…..lots of warmth, tingling, swooshing, connection and the ever present weight of a cat or something walking or laying on me. It was real, not dreaming, I was very awake. It is difficult to describe the sensations as they were very SUPER NATURAL, nothing I have ever experienced on this planet, but it felt good. The words ¨I am having a super natural experience¨ kept coming to me, it was out of this world for sure." "I would say they give you an expanded, wondrous and uplifting perspective of life! " "It was wonderful. The energy I was drawn into was a huge sun with a bouncy center that I found myself in the midst of, gently bouncing and smiling. It felt extremely protective and energizing at the same time. Such an unusual texture. Very supportive, fun and secure. The color was that of a yellow sun with rays going out from all angles. Also, there were rays of light and energy going from my heart and connecting to all in the class. At one point I felt pain in my heart and then a gentle calming returned. There was a sound like ringing, but I thought it was coming from outside until you asked us to hear the sounds." "Great, positive and providing much relaxation to get positive visualizations." "They are put on by an amazing coach/healer who is dedicated to helping others. And that energy during the calls was palpable." "If I would describe to a couple friends that are open minded spiritualy, I would say, this is a spiritual experience that is kind, gentle and loving; a meditative, opening and freeing experience where questions may be answered, solutions to problems and/or issues are created and a general feel good experience." "Suzanne's Energetic Downloads were always encouraging and helped me understand "events/feelings" etc. from both universal and personal perspectives"
"I would say that it is a group manifestation for all and for greater good will in the world. I thought it all worked very well. Suzanne was very professional and the conference calls were very well run and organized. She made it so that all participants understood the process and how the calls would proceed. Really liked it. Miss them. Hope I can participate again soon!"